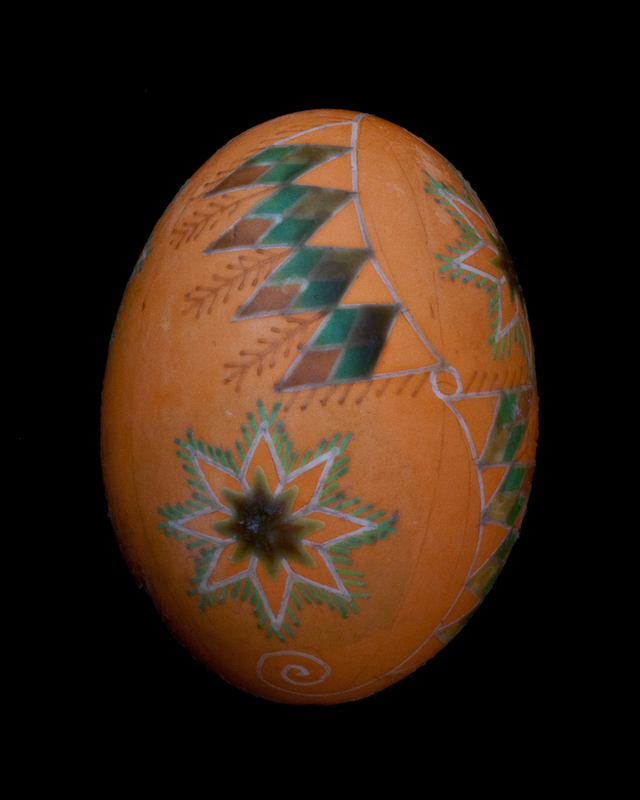 When people see these eggs for the first time, they often assume I’ve painted them. In reality I use a wax-resist process. “A what?” is the next question I hear. And “Is it hard?” closely follows. To answer both these questions let me take you step by step through this process. 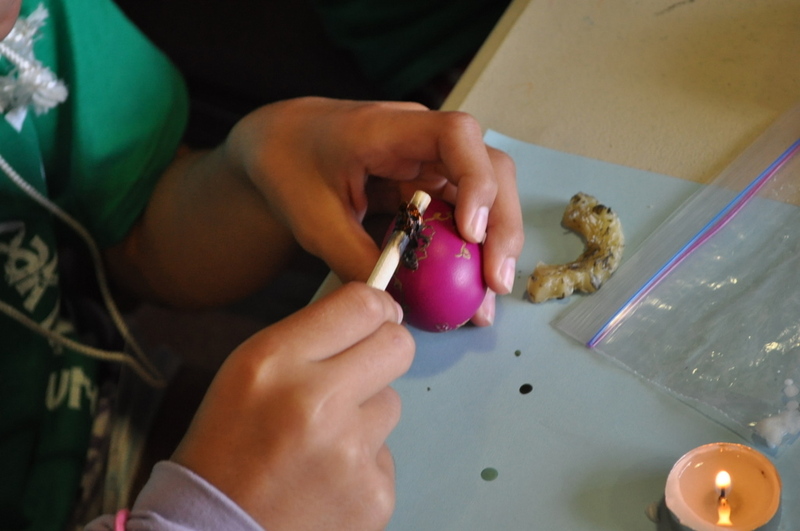 With a kistka (a small copper funnel on a stick) I apply melted beeswax lines to the egg. 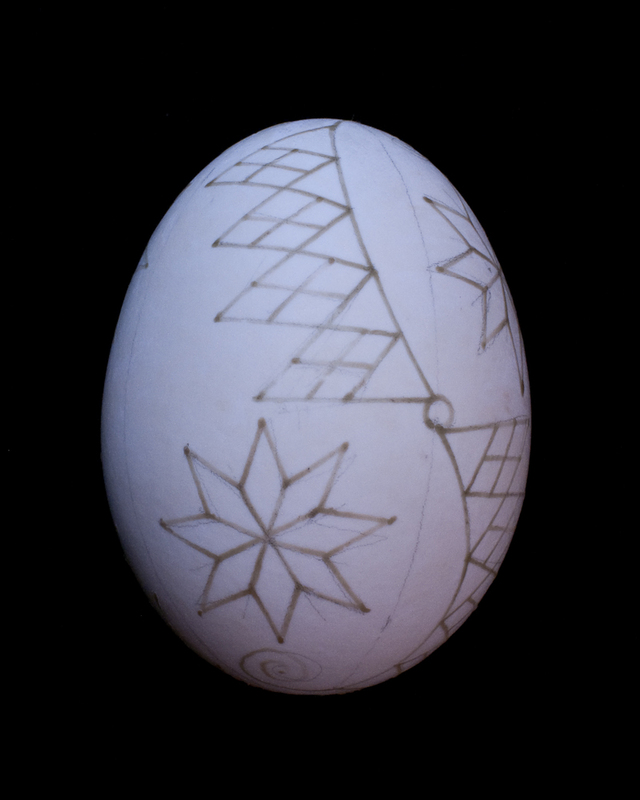 All areas covered by this first layer of wax will remain white on the finished egg. 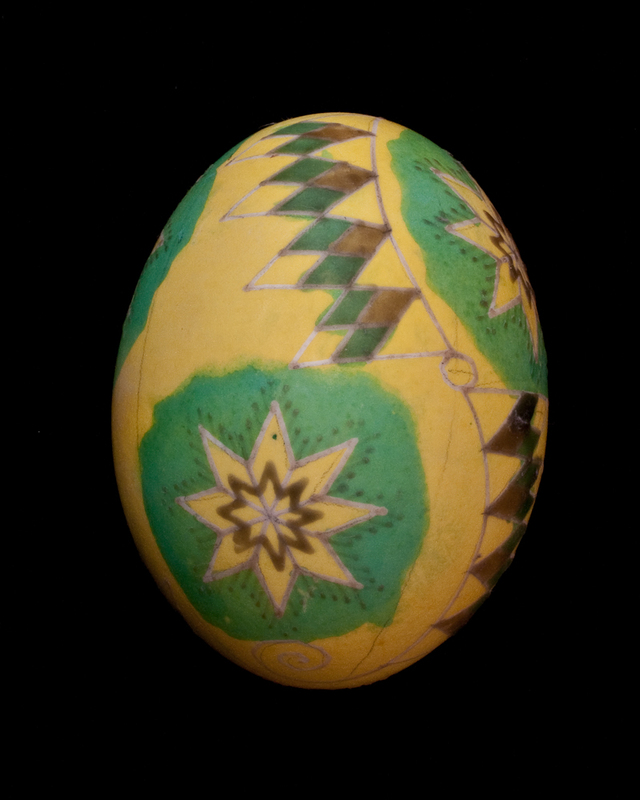 Next, I dye the whole egg yellow and draw more wax lines to preserve the yellow color. Green dye must be painted in small areas and then covered with wax. Now the egg receives an orange dye bath. Anything that should stay orange on the finished egg must be covered with wax. After the red dye bath, the egg is ready for another layer of wax to protect everything that will remain red. 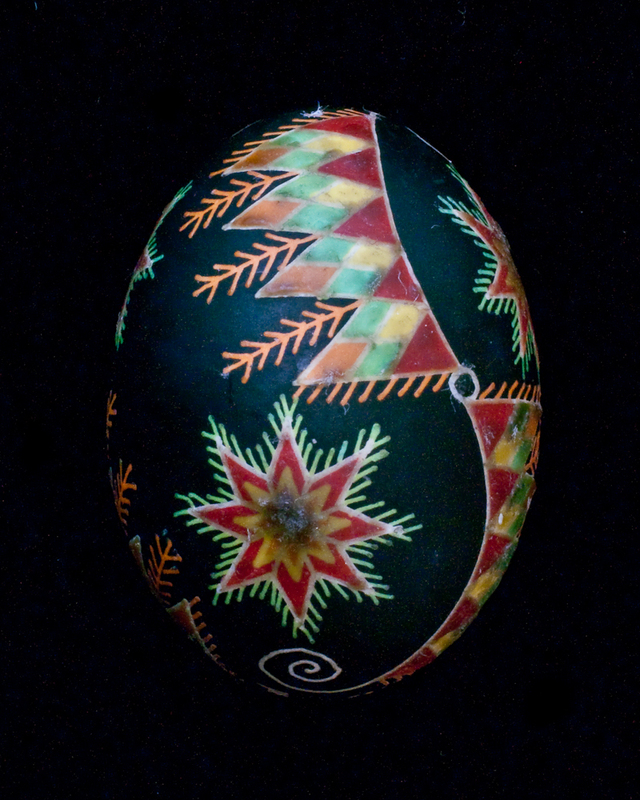 The final dye color on this egg is black. 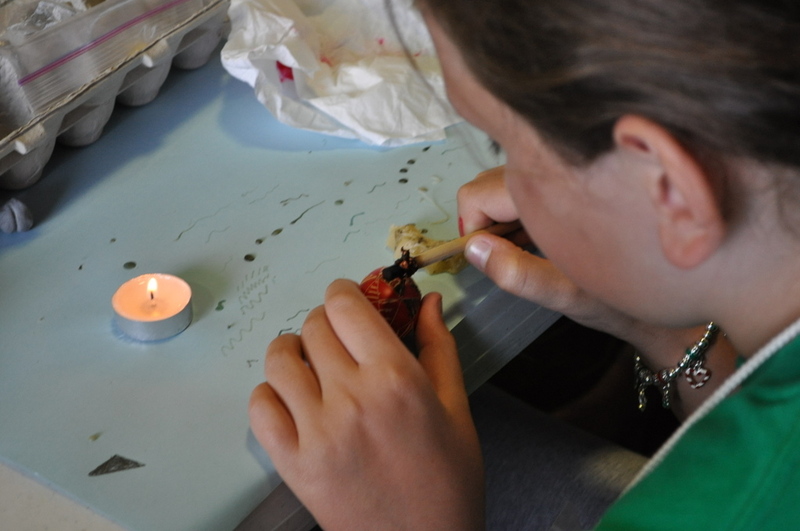 To reveal the finished design, I remove the wax by holding the egg near a candle flame and wiping off the wax as it melts. 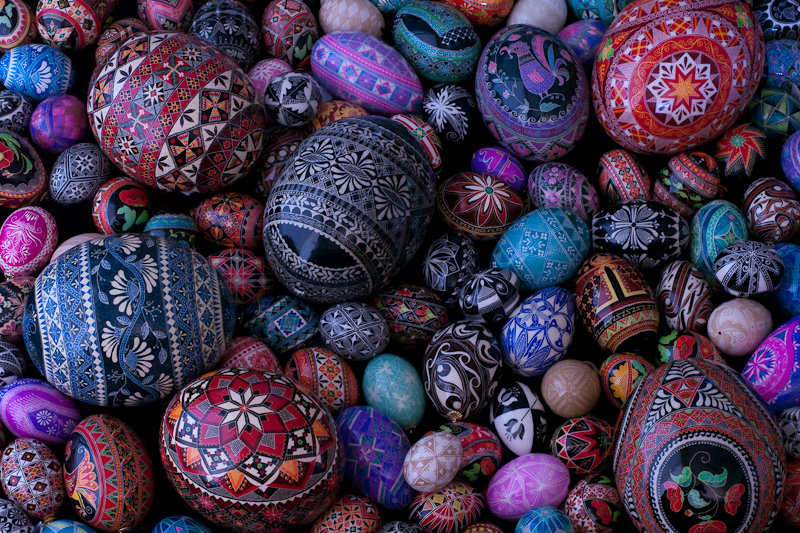 With just a few simple tools and a lot of time and patience, these colorful eggs really come to life. 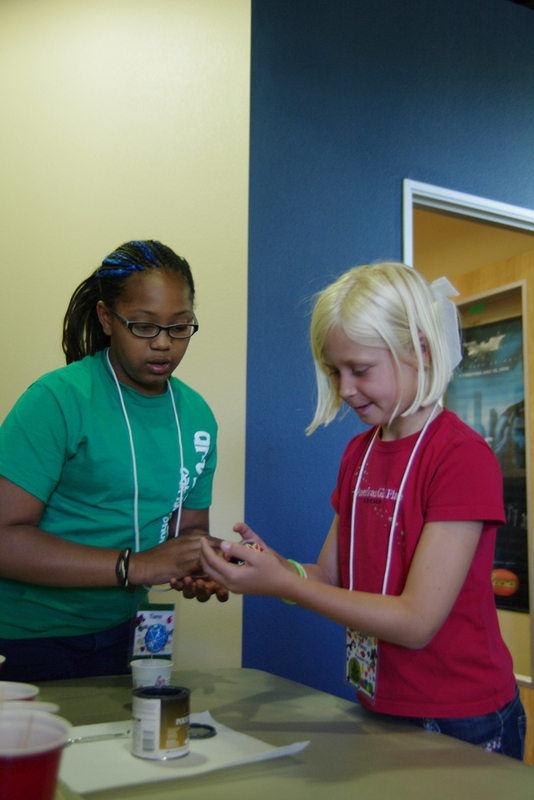 How can I describe the amazing experience we call Arts Camp at Oak Hills Church. You just had to be there. 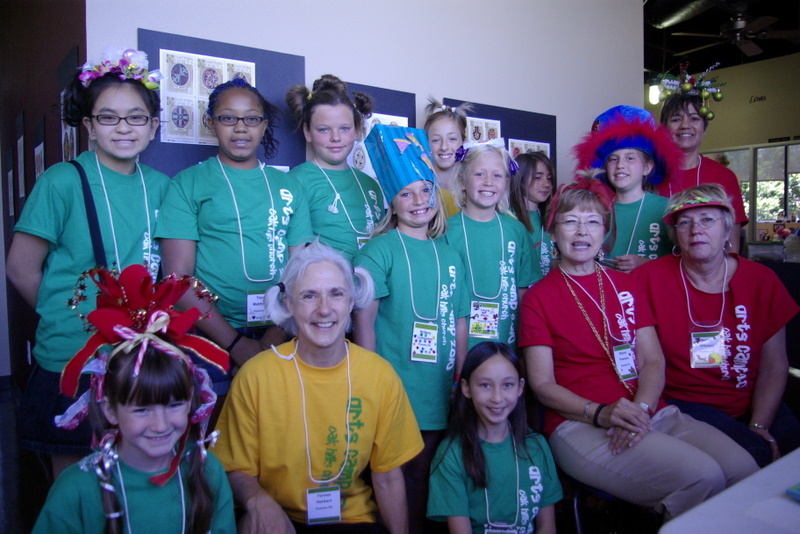 The air tingles with high energy and excitement as 360 first through sixth graders plus over 100 adult and student helpers explore all forms of art. 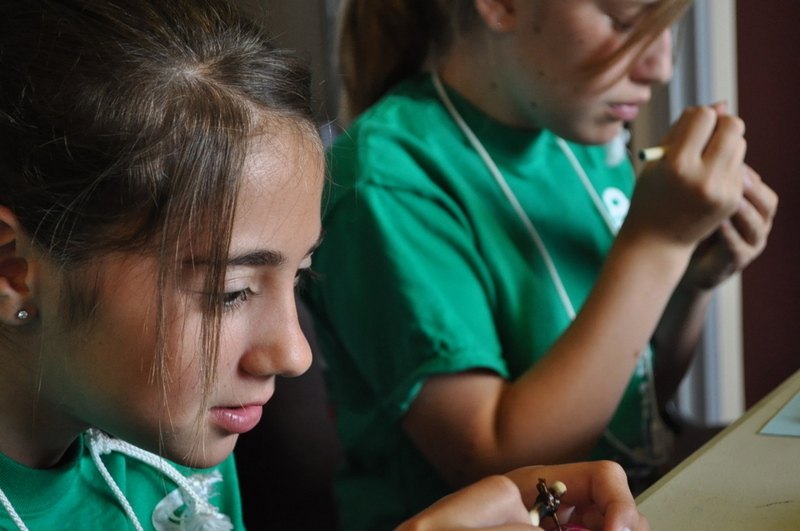 Everywhere you go on campus you see kids in their classes learning dance, drama, music, painting, silk screening, woodworking, even the culinary arts and lots more. 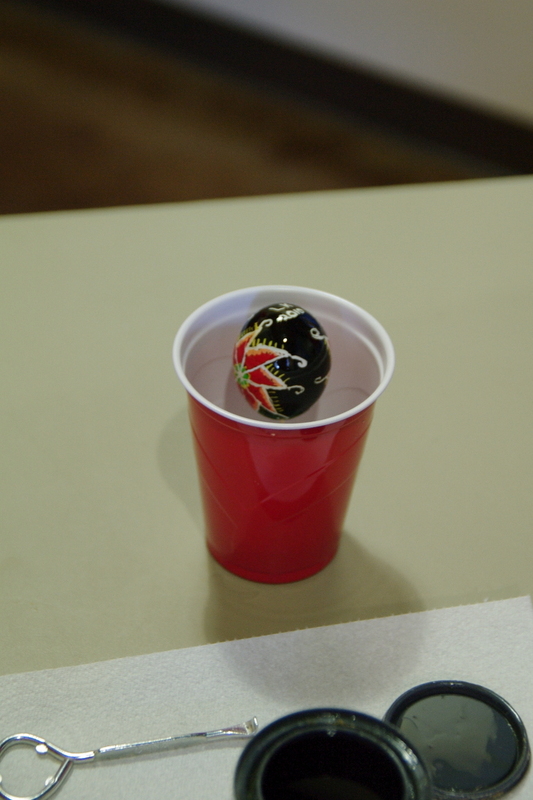 For the second year now, I had the privilege of teaching ten fifth/sixth graders how to create pysanky eggs. It’s always a little scary to combine kids and candle flames but thanks to plenty of supervision and a couple of mini fire drills, we had no major mishaps. Most of my students managed to finish at least three eggs over the course of this week. 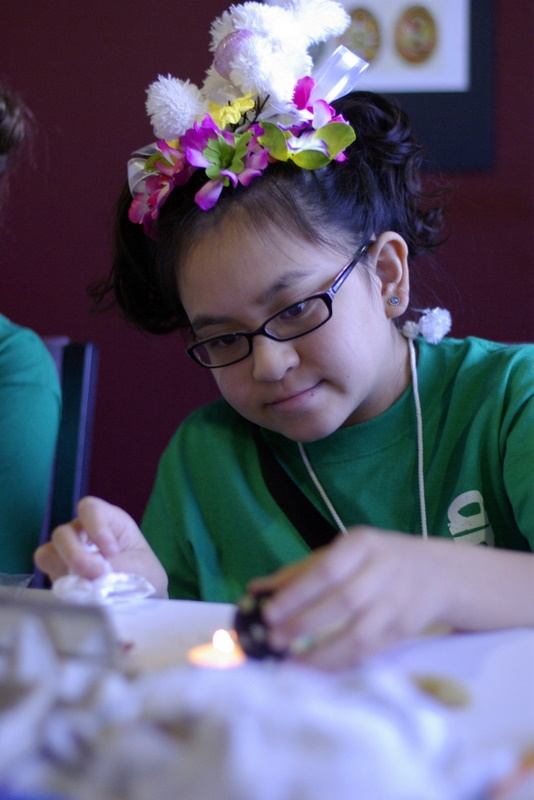 And more than that, I could see that they really understood the step by step process as they designed and completed projects on their own. 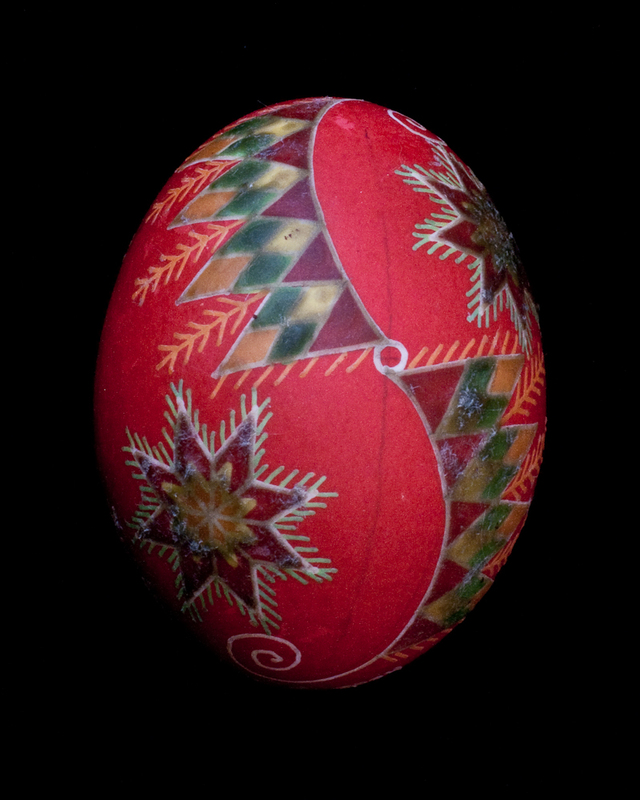 The techniques as well as the historical significance of pysanky have been handed down through the ages from parent to child, from teacher to student, from one generation to another. 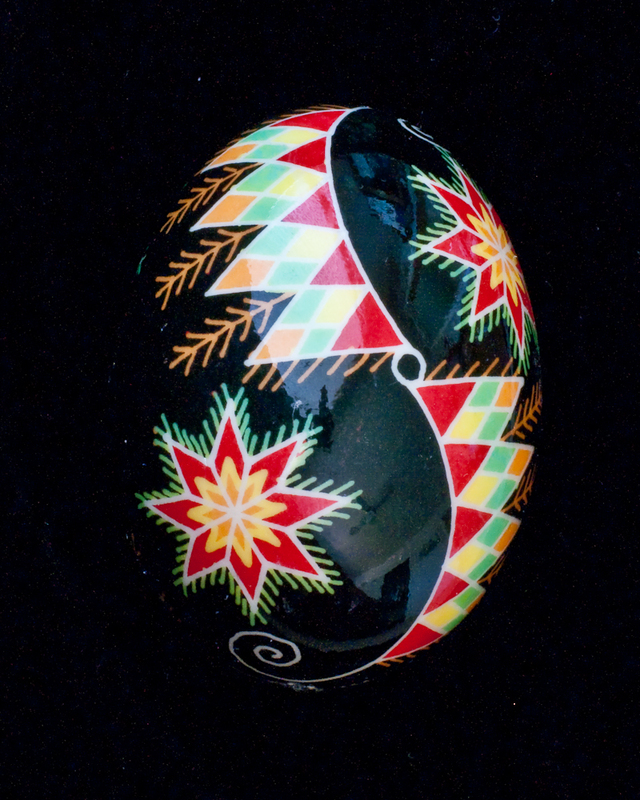 And now, I’m proud to say, a new generation of pysanky artists is well on its way to carrying on this tradition. I recently had my son and resident photographer, Ryan, take some egg photos for me. As he set up his camera, I collected eggs from their various resting spots around the house and together we staged shots that filled the photos with masses of eggs. 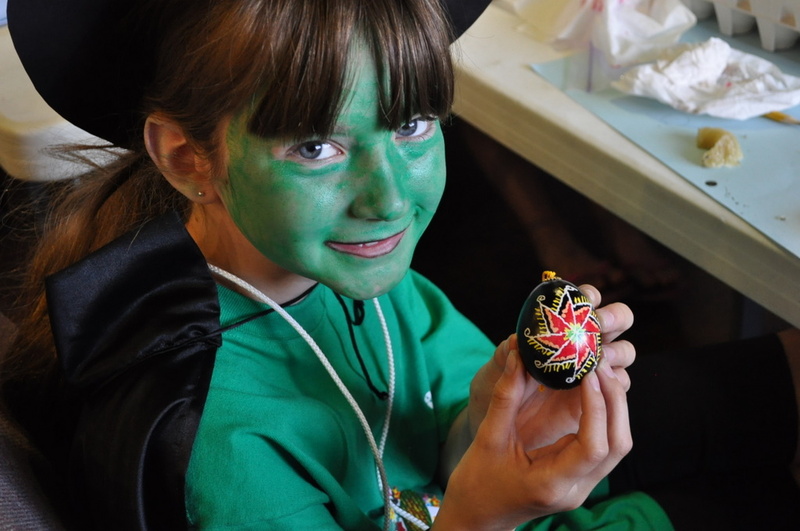 Looking at the end result now I marvel at how many finished pysanky there are. 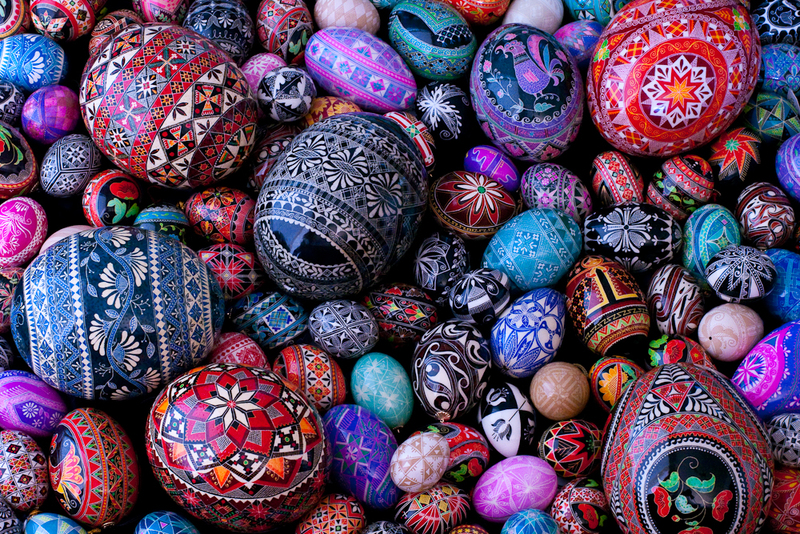 People often ask me how much time it takes to make one of these eggs. It’s hard for me to estimate because I enjoy it so much, but it can range from two hours for a very simple chicken egg to nearly forty hours for a large, multi-colored ostrich egg. And that’s just actual time working on the eggs. It doesn’t include the hours spent daydreaming about the next egg or figuring out a design problem in my head or sketching ideas into my notebook. All I can say is that individually they take a lot of time, but collectively it’s astronomical. I’m amazed at the amount of time those eggs represent over these last fifteen years. And grateful for the life I have—a husband who supports me in my art and doesn’t mind eating Cheerios for dinner when I’m madly at work in my studio, three nearly grown boys who can operate pretty independently most of the time, a church that fully embraces the arts and the artists within, and a God who gave me this passion for creating beauty in small spaces. Life is good indeed…and it’s about time I stop and remember that.